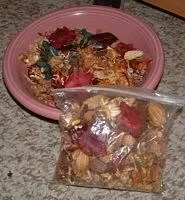 My current project for you is to make your own homemade Potpourri. If you read this post, follow the instructions and get the right materials for a chosen recipe, you will have your own potpourri in a matter of days. It will be the same quality of potpourri you would purchase in the store. Potpourri is essentially a personal pleasure. You will always choose your floral or herbal ingredients according to your own preferences for fragrance and color. You may like to attempt a blend to match a perfume you wear or a color match to a bedroom or living room scheme. And what more romantic a way to preserve petals from a Bridal or Mothers’ Day bouquet? 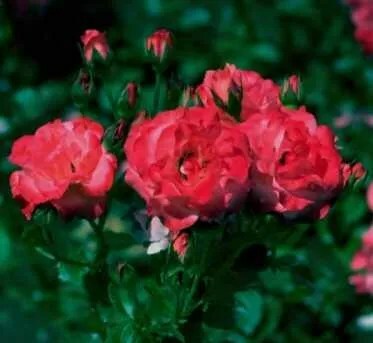 Some of the best scented additions to any Potpourri include Roses, Carnations, flowering Tobacco, Honeysuckle, Sweet Peas, night-scented Stocks, Orange Blossoms and Clove Carnations. Some of the prettiest additions that are nicest when dried: Lily of the Valley, Jasmine, Sweet Violets, Verbena, Hyacinth and Lavender. Always pick off the flowers or florets to dry. 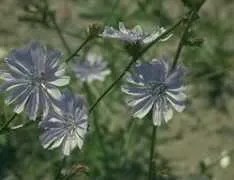 Other flowers that can be added fresh or dried, mostly for color and beauty are: Forget me Nots, Delphinium, Larkspur, Goldenrod, Bachelor Buttons, Pansies, Marigolds, Clematis and Zinnia. 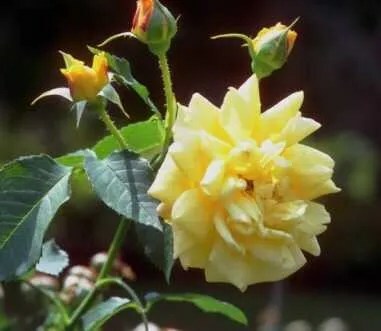 To a standard base of Rose Petals, a dry, spicy mixture might include Bay Leaves, Eucalyptus Leaves and Flowers, Ground Ivy, Walnut Leaves, Myrtle, Lovage, Thyme, Sage, Rosemary, Beans and Pods. For a lighter, more “summery” mix, you might add Melilot, Lemon Thyme, Costmary or Eau De Cologne Mint. 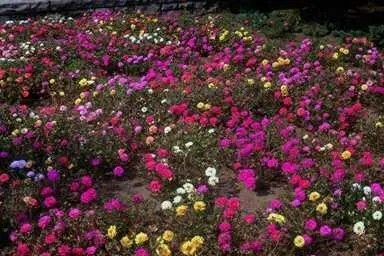 For sweeter mixtures, it is common to add Bergamot, Violets and Rose Scented Geraniums. Other base ingredients can also include: Angelica Root, Cedarwood, Juniper Berries, Citrus Peels and Rinds, Spices. Always, you must start by collecting about 1 quart (or more) of fragrant, dried materials to form the base of the Potpourri. These include Rose Petals, Lavender, Pine, Cedarwood, Scented Geranium and other aromatic foliage or flowers. To capture the essence of a culinary Herb Garden, you should use dried Leaves, Flowers and Seedpods of Basil, Thyme or Mint. For a more “masculine” scent, you should start with a base of Mint, Pine or Lemon Balm. The Base Materials of any Potpourri dictate the outcome of the blend. If you wish a woodland scent or a sweet scent or a spicy scent or perhaps are governed by color, you would choose the appropriate additives to ensure this result. Always harvest fragrant petals and leaves on a sunny day, just after the morning dew dries. To catch flowers at their peak fragrance, snip them off cleanly with scissors just after they have bloomed. To quickly strip unwanted leaves from delicate stems, hold the stem upright with one hand while gently pulling downward along the stem with the other. Always spread the clean, fresh materials on a screen and leave them dor dry in a warm, dark, well ventilated place away from sun or heat. Always leave them until “leathery”, which can take anywhere from several days to 2 weeks. Keeping a close watch is the only way to get it right. Plants retain their most volatile oils, and, henceforth, their scents, when they are dried quickly. Do not use heat but encouraging quicker drying is to the benefit of the mix. If your climate is humid, for instance, use a dehumidifier to aid the process. Do not cry to a crisp, but always be sure they are dry as well as “leathery” or “limp”. Acacia, Bergamot, Broom, Chamomile, Clove Carnations, Elder, Eucalyptus, Freesia, Honeysuckle, Hyacinth, Hyssop, Jasmine, Lavender, Lilac, Lily of the Valley, Linden, Madonna Lily, Meadowsweet, Mexican Orange Blossom, Mignonette, Mock Orange, Musk Mallow, Myrtle, Narcissus, Nicotiana, Orange Blossom, Peony petals, Phlox, Rose Petals and Buds, Rosemary, Stock, Sweet Marjoram, Sweet Rocket, Syringa, Violets and Wallflowers. Angelica, Balm of Gilead, Balsam Popular Buds, Basil, Bay, Bergamot, Costmary, Eucalyptus, Ground Ivy, Hyssop, Lady’s Bedstraw, Lemon Balm, Lemon Thyme, Lemon Verbena, Lovage, Melilot, Mints, Myrtle, Patchouli, Pelargonium, Rosemary, Sage, Southernwood, Sweetbrier, Sweet Cicely Sweet Marjoram, Sweet Myrtle, Tarragon, Thyme, Violets, Wall Germander, Walnut, Wild Strawberry and Woodruff. Alkanet, Bergamot, Borage, Calendula, Cornflower, Delphinium, Endive, Feverfew, Forget-Me-Not, Foxglove, Flannel Mullein, Larkspur, Lawn Daisy, Marigolds, Pansies, Poppies, Primroses, Rosebuds, Sage, Tansy, Tulips, Vipers’ Bugloss, and Zinnias. 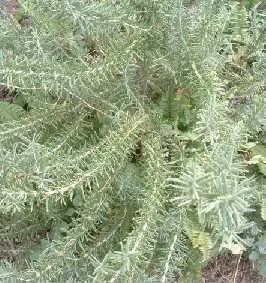 Alexander Seeds, Allspice, Aniseed, Caraway, Cardamom, Cassia Buds or Chips, Cedarwood, Cinnamon, Cloves, Coriander, Dill Seed, Ginger, Juniper, Mace, Nutmeg, Pepper, Sandalwood, Star Anise and Vanilla Pods. Angelica Root, Cowslip, Elecampane, Sweet Flag, Valerian and Vetiver. 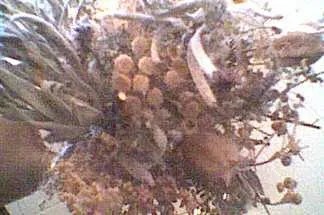 Angelica Root, Cedarwood, Juniper Berries, Citrus Peels and Rinds, Seed Pods, Nuts and Berries. Cedarwood, Juniper Berries, Pine Needles and Lemongrass. Traditionally, flowers dominate any mixture, especially Rose petals and Lavender, as they retain their perfume the longest. For fragrance select perfect , whole flowers just before they open fully. Dry these flowers by laying flat as possible on stretched Cheesecloth to allow the air to circulate. Large-flowered Roses and thick-petaled Lilies and Hyacinths should have their petals separated. Small Rosebuds can be dried whole. If you grow your own Orris Root, you can make your own fixative. Dig up the roots, scrub them well, then split them into small pieces. Spread the pieces on paper or a screen to dry, then grind them to powder in an old blender or use the fine mesh of a food grater. It’s easier to do this while the pieces are still slightly moist. Store the powder for future use in a dark glass container. Essential Oils are used in many kinds of Herbal Crafts. You can purchase Essential Oils in most craft and health food stores. You may also prepare your own at home (see below). 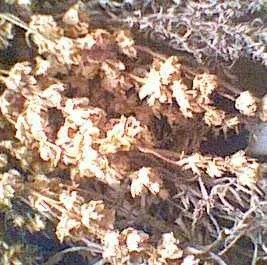 To do this, you will need A LOT of plant materials, since the amount of oil in most herbs is minute. To preserve the fragrance of your Potpourri, you will need to add a fixative to the base. Fixatives of Animal origin, such as Ambergris, Civet and Musk are expensive and hard to find. Plant-derived fixatives such as Orris Root, Vetiver Root, Rose Artar, dried Rosemary, Sweet Flag or Tonka Beans are less expensive and more widely available. They work just as well. Always stir in 1 tbsp of fixative for each quart of dried base materials. Fixatives are available as powders and are used to absorb and hold the other scents so that they will last longer. Most have their own special perfume, which enters into the aromatic equation. The most popular vegetable-based fixative is Orris Root, as its’ “sweet violet” scent doesn’t affect a blend strongly– use 1 tbsp per cup of flowers and leaves. Gum Benzoin has a “sweet vanilla” scent– use about 1/2 ounce to 4-6 cups of flowers or leaves. The Tonka Bean from Dipteryx Ordorata also has a strong “vanilla” scent– use one or two crushed beans per recipe. Some fragrances act as natural fixatives. These include Oakmoss, Chypre, Sandalwood, Sweet Flag Root, Sweet Violet Root, and Frankincense and Myrrh. Use 1/2 oz of these per 4 cups of mix. In the case of Essential Oils, whether you make them yourself or buy them over the counter, limit your use to only a few drops per recipe. Otherwise, they will overpower your blend and ruin it. Although this is not all of the knowledge I would want to impart, it is enough. I don’t want to overfill your head and drive you away from your first attempt. So here are several recipes and if you follow them to the “T” you will have some fine potpourri, indeed. This mix will reduce Kitchen odors and also chase off Flies. Put all of the ingredients into a bowl, jar or container of your choice and mix well with a wooden spoon or by shaking. Place the bowl or jar in the Kitchen and shake it after cooking. Handle or mix the leaves frequently and as often as possible when Flies appear. Dry the Rose Petals until mostly dry and leathery. Do not dry to a crisp! When they are leathery and mostly dry, begin to layer them into the Crock or Jar. Between each layer, sprinkle in a fine dusting of both kinds of Sea Salt, interchanging as you go. Alternate Salt and Petals every 1/2″ of Petals. Stand the Crock in a dark, dry, well-aired place for 10 days until caked together. If it begins to froth, stir daily and allow to ferment for an additional 10 days, or until “caked”. Gently combine the flowers and leaves, mixing them with your hands. Add in everything except for the Essential Oils and stir well. Once well mixed, tip the Potpourri into the Crock or Jar and stopper it tightly. Leave in a warm, airy place out of the sun for 6 weeks to “cure”. After 6 weeks, open the Crock and add in each of the Essential Oils. Stir and shake well. Stopper and leave overnight. In the morning, you may transfer the Potpourri to glass bowls or jars for display. Keeping the mix in a lidded jar when not on display will length the life of the scent. Mix all of the flowers and leaves together really well by blending with your hands. Mix and toss the Potpourri until it is well mixed and the color seems evenly distributed. Hand fill the Crock or Jar with these flowers and leaves and stopper. 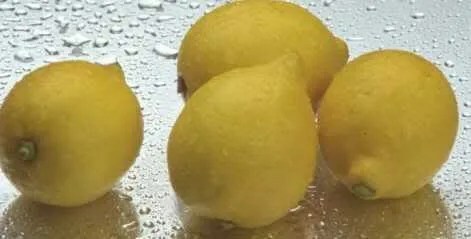 Leave to “age” for 6 weeks in a warm, dry, airy place out of direct sunlight. After 6 weeks, open the Crock or Jar and add in the Orris Root and Gum Benzoin. Shake the blend until the powders have mixed downward into the mix and the leaves seems to be lightly dusted. Stopper and replace to “age” for another 4 days. After 4 days, remove the mix and place it in bowls or jars for display. If you keep this mix covered or stoppered when not in use, the scent will keep for years. Mix the Roses, Lavender, Strawflowers and Seedpods together. Blend them in with your hands until well mixed and evenly distributed. Place the mix into the Crock or Jar and stopper tightly. Place in a warm, dark, airy place to “age” for about 6 weeks. After 6 weeks, open the jar and add in the Oil and Orris Root. Shake very well, turning the Jar upside down to ensure full coverage from the Oil and Root. The leaves in the mix should look shiny and dusted with a fine powder. When this looks right, reseal and leave for 2 more days. After 2 days, remove the mix and place in bowls or jars for display. These are just a few of the many special recipes I have collected over the years. Some are my own invention, others are snitched from other experimenters. Many of these are considered classic or traditional and can be found in other publications. Stay tuned for future posts with more information on the various methods applied in potpourri making and a lot of other great recipes. I am looking for a refresher scent for some potpourri I bought called tobacco bergamot. Can’t find it any where. can you mix? or can you direct me to a site that can help? thanks, Von C.
Tobacco Bergamot is a specialty fragrance that was created as a part of signature series and is sold online at specialty stores. Mostly, it’s used in candles. I have seen it in various forms that may be useful to you. There is a woman who makes and markets a homemade body oil and you can view this item here http://www.etsy.com/view_listing.php?listing_id=16611536. There is also a site that sells a diffuser with a large bottle of scented oil, which you can check out here http://www.smartcart.com/sensia/cgi/display.cgi?item_num=86556. You could use either oil to freshen your potpourri. If you buy the diffuser you can use this scent everywhere in your home and have it for a really long time. It’s wonderful when we find something we really enjoy, isn’t it? Good luck.